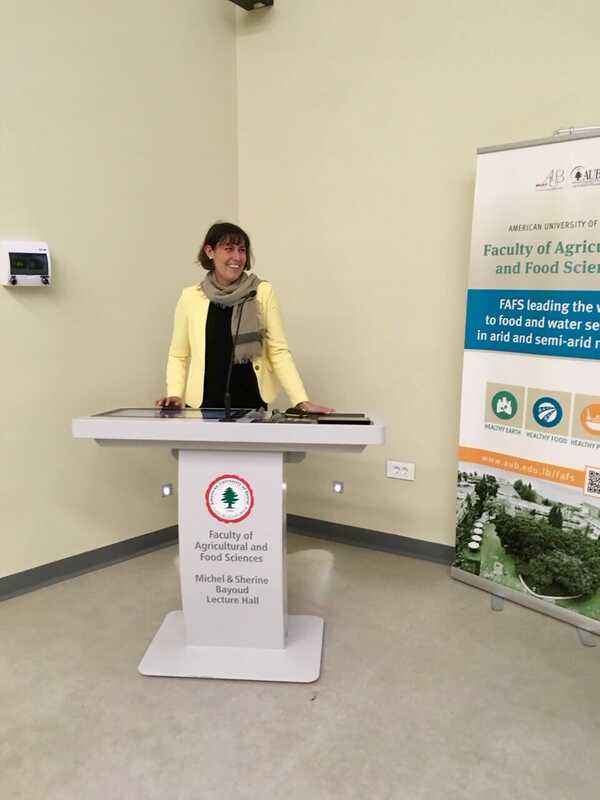 Dr. Serena Sandri represented the Euro-Mediterranean Network for Economic Studies – EMNES to the conference “Water-Energy-Food Nexus in the Levant”, which took place at the American University of Beirutwhicgh on 6 &7 December 2018. The conference was organized by the American University of Beirut and Kassel University and was sponsored by the German Academic Exchange Service (DAAD). The event aimed at promoting research exchange between Germany, Lebanon, Iraq and Jordan and it gathered key experts from these four countries to discuss future challenges for food security and pathways towards solutions. Dr. Sandri is Associate Professor at the School of Management and Logistic Sciences at German Jordanian University, EMNES researcher and member of the Expert Panel of the Euro-Mediterranean Economists Association – EMEA.